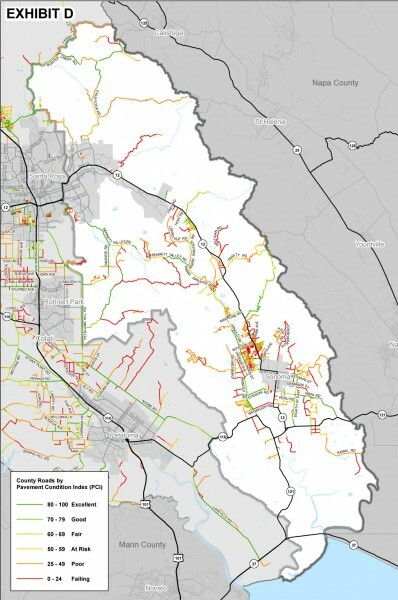 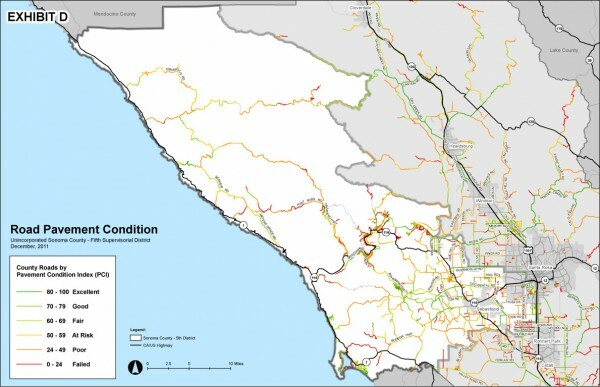 The Sonoma County roads department has developed color-coded maps showing the conditions — from excellent to failing — of all of the roads it is responsible for. 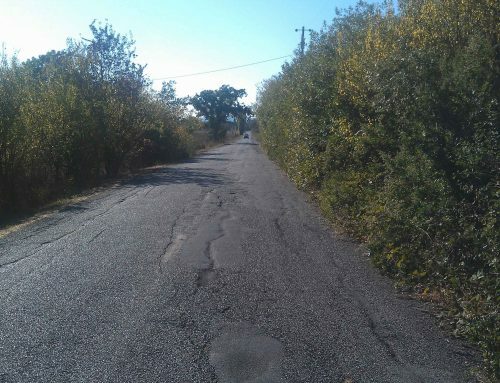 If you live on a county-maintained road, you can find it below in one of these maps. 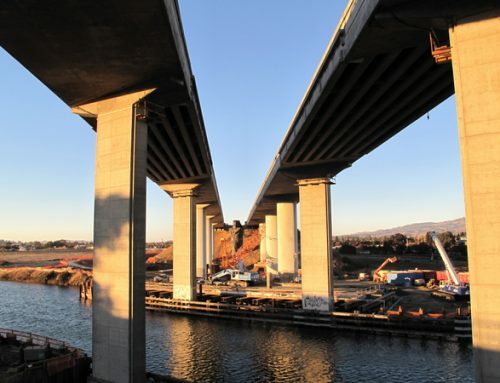 Conditions of roads maintained by Caltrans and cities are not defined. 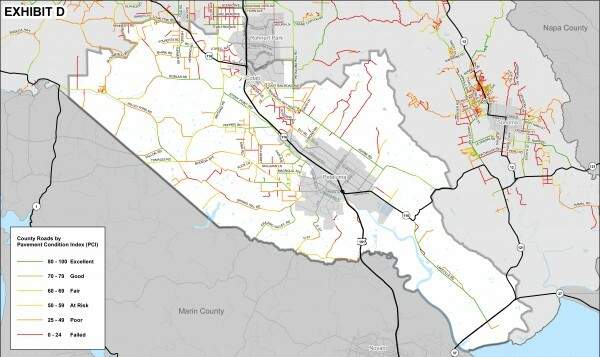 Click on a map to enlarge it. 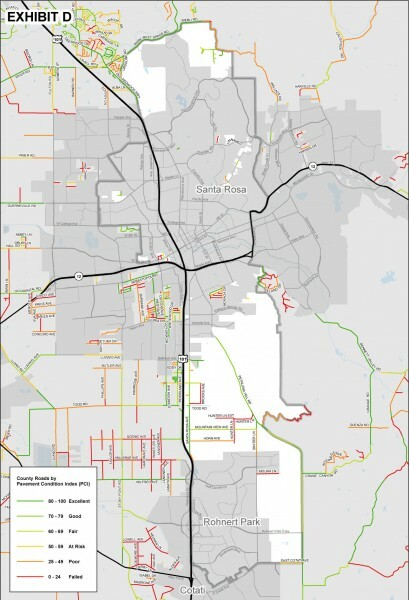 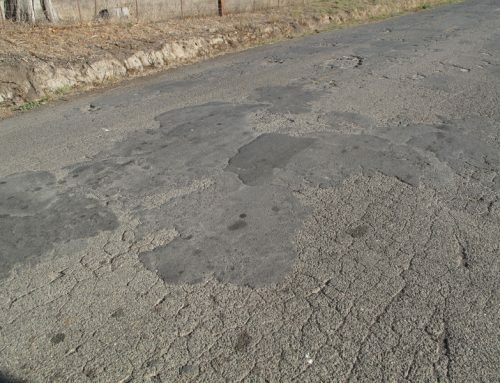 The maps were part of a presentation Tuesday to the county Board of Supervisors seeking to get the board to approve money to improve maintenance of some roads. 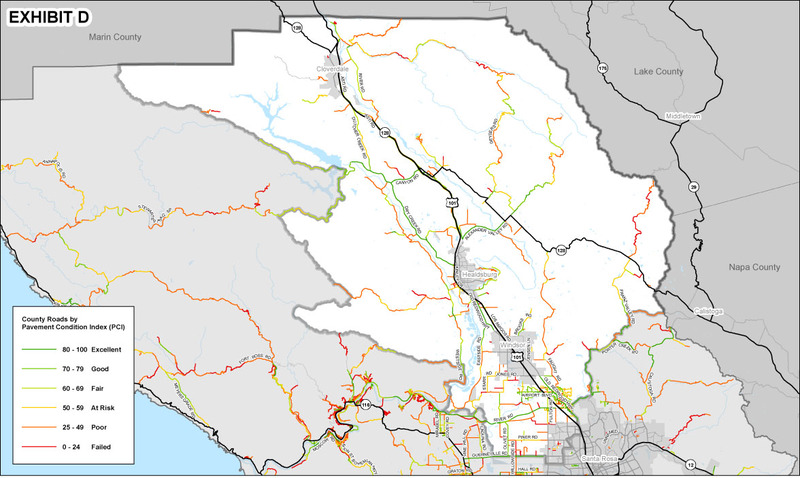 Each map represents a different county supervisorial district. 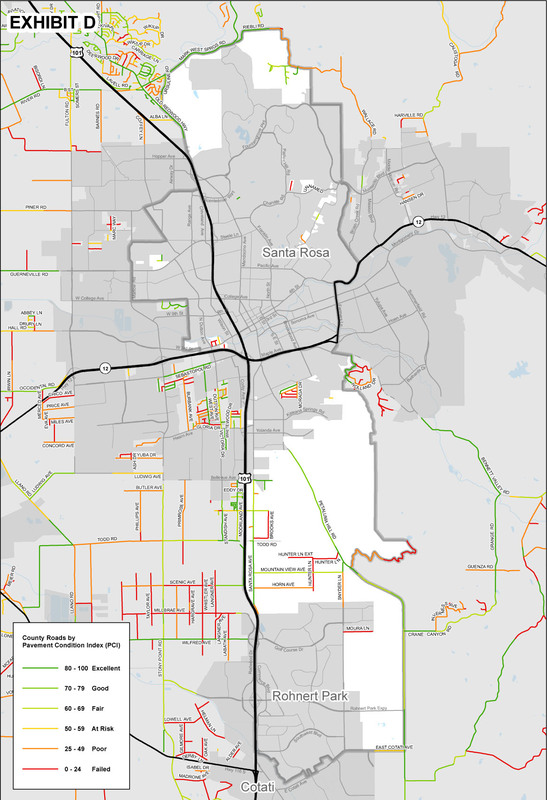 Tom O’Kane, deputy director of the county Transportation and Public Works Department, said the road conditions are based on surveys conducted last year.